After seeing many Neesya reviews flooding the Facebook feed over a couple of months; I was a little curious over the brand and what it had to offer. 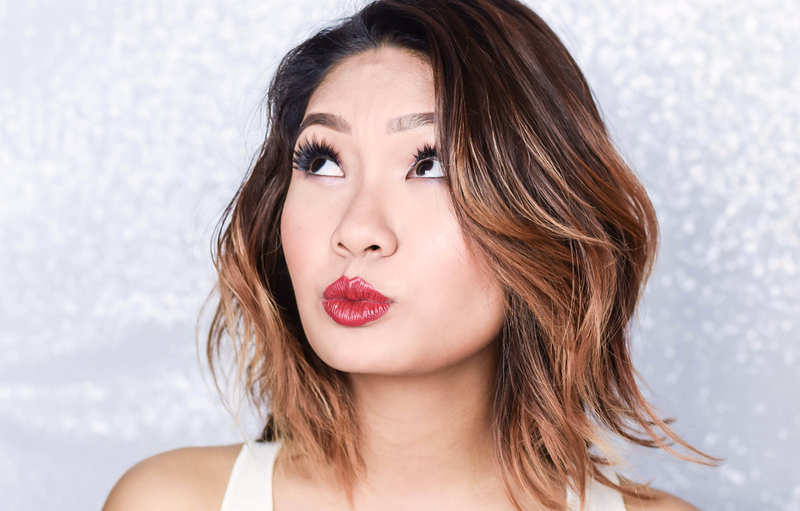 After all, this Malaysian radiance make had only been in the market a little over two years; and there were still a handful of us that are not very well versed with the brand due to the fact that it is not widely advertised or heavily mass produced. 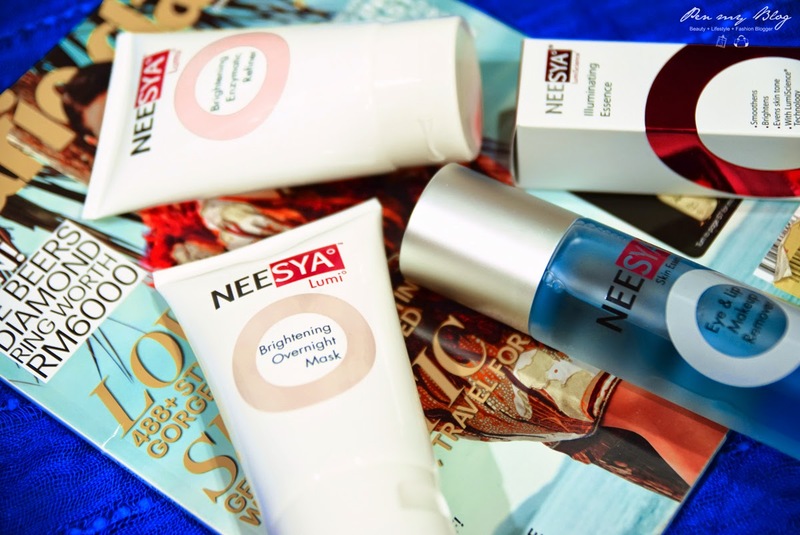 Hence this encounter with Neesya was to see if their products would be well suited to dry skin-tones (yes I am going to be specific) and if there were going to be any after effects that would have to be dealt with after the usage of the collection. Keep in mind that consistent use of the range would be needed, so all your usual skincare routine would have to take a momentary pause as the collection would need to be used diligently with full focus. 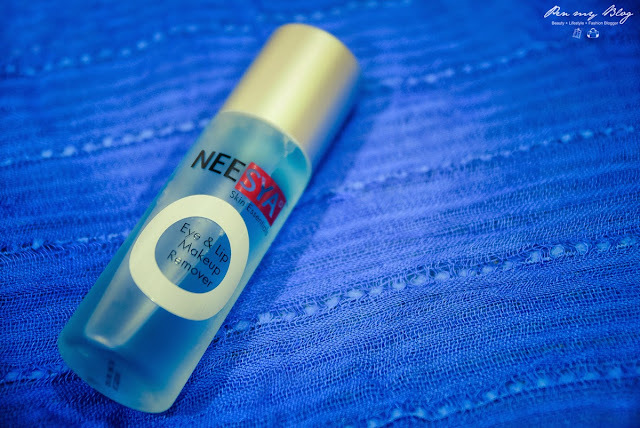 Okay let's talk about Neesya's Makeup Remover. Doesn't it somehow remind you of Maybelline's version of the Eye & Lip Makeup Remover as well? The texture is similar; with an oil and water base, so for usage you would need to shake well to mix the two until you get one fine consistency. 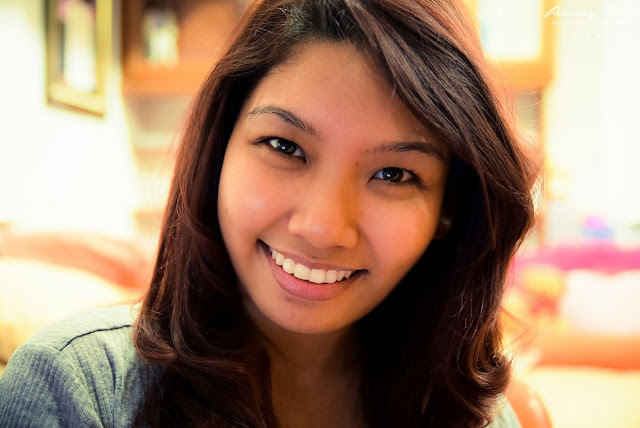 As I am a huge fan of Maybelline's Eye & Lip Makeup Remover, I thought there wouldn't be much difference in terms of texture; and though I was spot on on that; it did surprise me at how gentle and cooling it was on my lashes in terms of mascara removal. I might have needed a few swipes here and there to take the mascara completely off but for lip removal; it went completely fine. It didn't sting the eyes as well so that was a plus point too. Pros: Gentle, soothing, removes lipsticks and lip-stains easily and does not sting the eyes. Cons: High product usage and does not work very well with stronger mascara products. 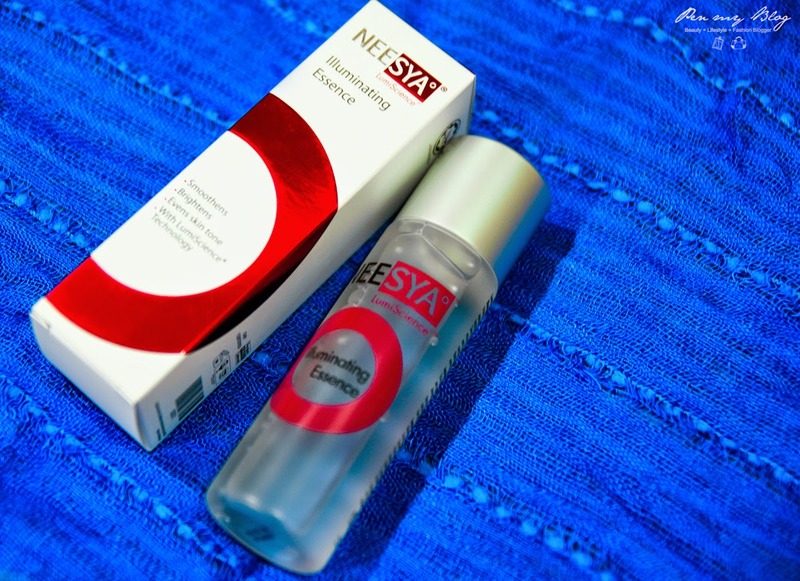 Now even though there has been rave reviews about Neesya's Brigtening Enzymatic Refiner, this was not my favorite product out of the regime. The consistency is gentle; unlike the usual scrubs but oh boy is it drying. 5 - 10 minutes is the standard time for its usage (a thin layer applied over the face) and although I have cut the minutes down to 2; I could still see little white flakes near the corner of my eye after the product has been washed off. Nonetheless, in terms of taking away the impurities; it does fit the bill and even-though the effects of the Lumi Brightening Enzymatic Refiner is quite drying; it does have a nice scent to it. However if you were wondering if I will be using the product in the long run; I think I would stick to my usual cleanser the next time round. Be that as it may, the one thing that I do love about this is that it does keep the skin moisturized and gives the face a more even glow after application. However, I am not overly fond of the scent as it is not as light as Neesya's Brigtening Enzymatic Refiner but it is acceptable nonetheless. 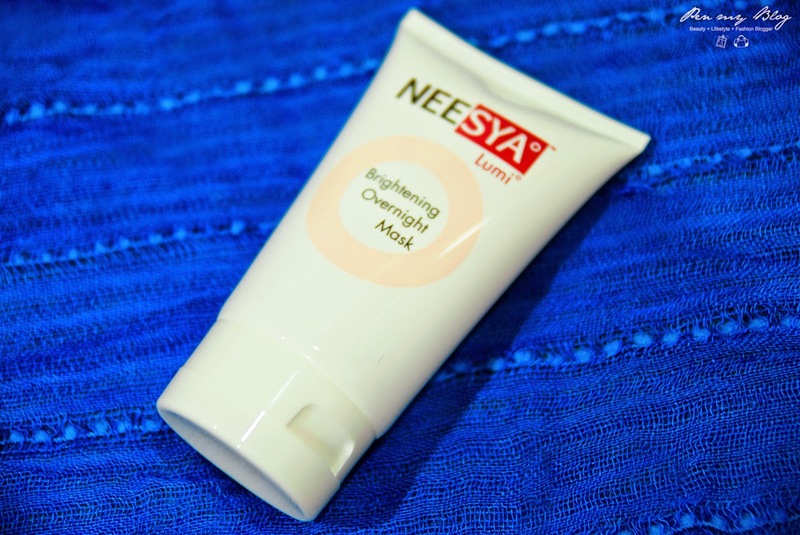 The Neesya Brightening Overnight Mask however is a wonderful product which I have thoroughly enjoyed using over the span of two weeks. As such, I am even trying to find ways to incorporate it into my usual regime which is to apply a thin layer at night; to keep the hydration and brightening effect intact. Formulated with Silver Vine Extract and Alpha-Melight, the Brightening Overnight Mask helps skin discoloration, restores hydration and recharges tired skin; and even though it is a little sticky; it treats well any redness or patchiness that is on the skin. It comes at an affordable price point as well; so in terms of a repurchase, it would be a definite yes from me. As you can see from the results above; the dark spots had faded away and the skin has become more even and bright after two weeks. Although you may have to excuse the harsh yellow lighting that is going on in the background, the outcome still remains that the products do live up to its rave reviews. Although there were one or two that I felt were misses, one product that I find myself reaching for daily is Neesya's Eye & Lip Makeup Remover. Seeing how much of mascara and eye makeup I put on a daily basis, the product removes them well and is extremely soothing on the eyes. So I reserve nothing but love for this product. If you would like to find out more about Neesya and their products you can do so via their Official Website and their Facebook Page. They also have outlets at Subang Parade, SACC Mall Shah Alam, The Mines at Seri Kembangan and Plaza Metro Kajang.